Terri Blackstock is one of the first Christian authors I started to read. Her writing hooked me with its natural flow and page-turning suspense, and I've been a fan ever since. When a friend loaned me If I Run to read, I couldn't wait to dive in, finishing it in just over a day. Here's a small blurb and we'll chat on the other side! All right, so as usual with a Blackstock book, it starts out with a line that immediately links your hands to the page, unwilling to put the book down. And while I did find the story intriguing from page one, I struggled to truly get into the characters' heads as it is written in first person present. This lends itself to the feeling of the hero and heroine narrating their story to you. I am a fan of third person, deep POV and thus found it took me some time to connect with Casey and Dylan. That being said, the story is well paced with a secondary plot and characters that are as compelling as the main thread. I found myself flipping through the book, enjoying every word even though I knew exactly what was happening. There wasn't so much of a who-done-it aspect as there was simply good story-telling. While the secondary story neatly wrapped up, this book is only the first of what will be a series. I have no idea how long of a series--or even that it was a series--because no where does it indicate that is the case. However, Casey's story does not end on the last page. She simply drives off into the proverbial sunset with several loose ends that still need tying. I liken it the first episode of a current television drama. You've met the heroine and potential love interest. You've learned why she's on the run and who the Big Bad is. You understand why she must continue to run--and along the way apparently help other people--but her story will span other episodes until finally her Big Bad is put away. And I would have been okay with that...IF I'd have expected it. I'm still not sure exactly what to think. It was a long read for it to have the feel of only an episode at the end. However, I do think it's smart of Blackstock to use what could prove to be a fresh set-up for readers. My only caveat is that I wish the book would have been marketed as such as it would have prevented a frustrating moment when I hit the last page. My expectations were left unmet, and that could have so easily been fixed by a number on the cover or a sentence in the back cover blurb. However, I cannot fault the story itself. 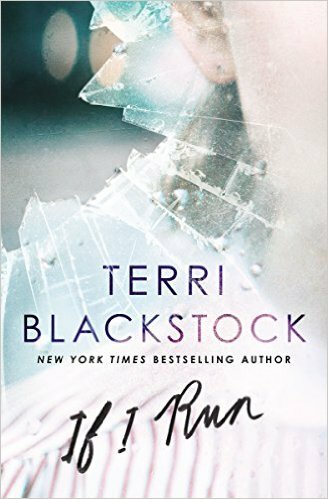 Blackstock is an amazing writer, and now that I know what to expect from this series, I'm sure I'll be picking up the next book. I happily give If I Run 4 out of 5 stars and you can purchase it here. I've been wanting to read this book. Thanks for reviewing!